Guests will visit four great ballparks over five nights on this “mini” version of the popular East Coast Tour. Between the games, there will be time to explore the cities, take ballpark tours, and enjoy first class accommodations in each city. Book now to hold your spot! 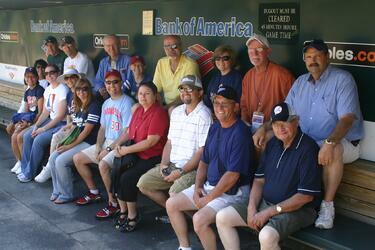 Big League Tours guests in the dugout at Oriole Park.